Real Madrid are reportedly only willing to pay around £70million for the transfer of Chelsea forward Eden Hazard. This is the latest from Don Balon, who follow up on claims made by Spanish TV show El Chiringuito, stating that the player himself has agreed terms on a contract at the Bernabeu. Hazard is one of the best players in the world and seems an ideal signing for Real Madrid to replace Cristiano Ronaldo following his sale to Juventus in the summer. 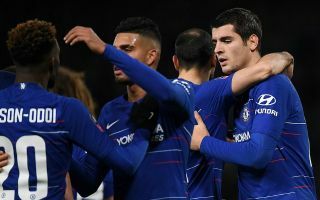 The Belgium international, however, has an asking price of more like £105m for Chelsea to give the green light to the deal, according to Don Balon. One imagines, though, that the Blues may have to accept a lower offer as time ticks on, with Hazard set to be in the final year of his contract with the club next season. This is a big blow for the west London giants, who also saw Thibaut Courtois poached by Los Blancos in similar fashion last summer. And with a top four spot by no means guaranteed for CFC this season, replacing Hazard would be a very tough task indeed if there’s a lack of Champions League football on offer.